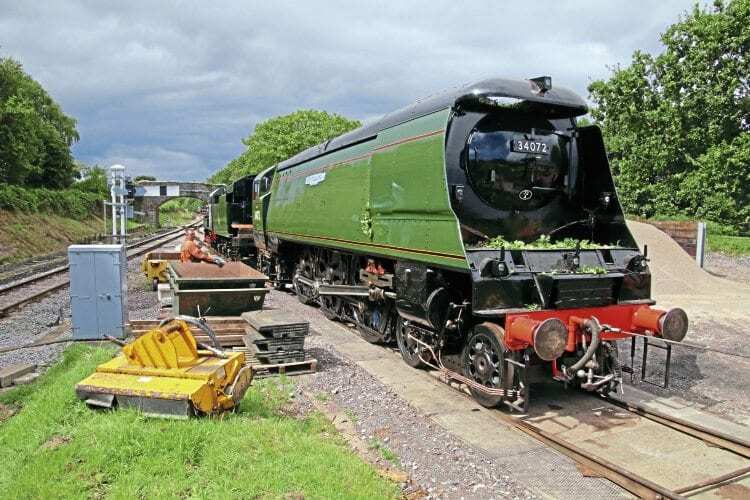 IT WAS a case of ‘one in, one out’ for Herston-based Southern Locomotives Ltd (SLL) this summer – taking one of its Bulleid ‘Battle of Britain’ Pacifics in for overhaul and releasing another for testing. Bulleid ‘Light Pacific’ No. 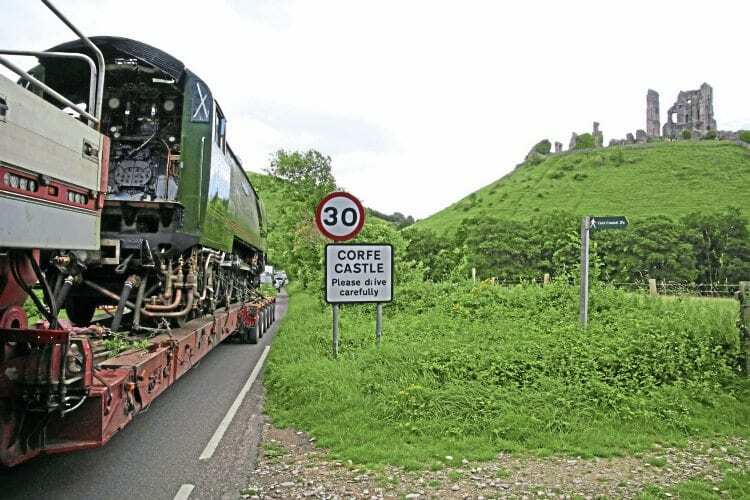 34072 257 Squadron touches down on Swanage Railway metals at Norden following its transfer from Herston Works on August 21 having acquired some foliage en route. The premature withdrawal of No. 34070 Manston following its low-speed collision with Riddles 2-6-4T No. 80104 on July 24 (see p71) quashed the long-awaited dream of running Manston with newly overhauled ‘BoB’ No. 34072 257 Squadron, but the union of the pair may only be a year away. No. 34072 itself made the move by road from SLL’s Herston Works to Norden on August 21, the group taking advantage of a £2,500 discount on haulage costs owing to the low loader being in the area for another job.